Over the past decade, the science of engineering genes has become much more precise. That goes especially for CRISPR, a set of tools to delete or edit genes in an organism's DNA. "Our new CRISPR toolkit targets Nannochloropsis, which is a great candidate for useful applications. This alga is quick to grow. It is easy to study. And it produces a lot of oil, which is interesting for industrial production," Eric says. "We insert mutations with the help of episomes, circular pieces of DNA foreign to Nannochloropsis. 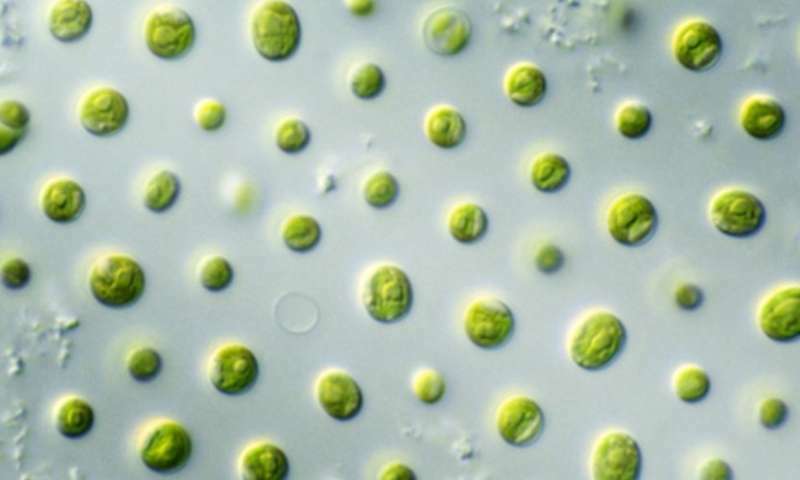 Our alga can maintain that foreign DNA for a while, which is unusual, as most other algae can't." "Using the episome approach is ideal for CRISPR. The mutation brought in with the construct survives in subsequent generations. It becomes an integral part of the genome," Eric says. "There are several university labs and biotech companies now working on this. The hope is that the toolkit will help the research community to expand," Eric adds. "My goal is to help researchers to do their advanced studies. I don't want them to reinvent the wheel, so the information is easily available to the community."